In the future, New York, after the dreaded nuclear holocaust, is a wasteland of lawlessness and gangland thuggery. 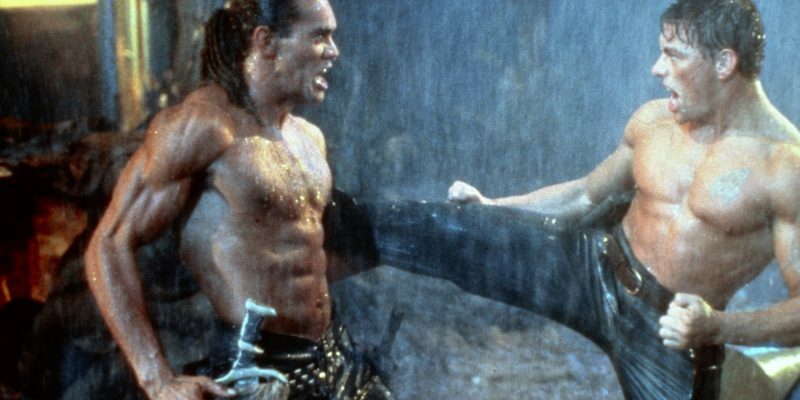 Jean-Claude Van Damme plays a skilled martial arts warrior named Gibson Rickenbacker, a “slinger”(aka, a mercenary for hire helping refugees), who fights for and rescues a woman named Pearl Prophet from a horde of marauders. It turns out that the woman is a woman no longer, but rather, a cyborg transformed in order to gather information and transport it to Atlanta in the hope of turning the tide on the widespread plague that has threatened humanity with extinction. However, the leader of the marauders is the fearsome psychopath, Fender Tremolo, a man who has history with Gibson and has ruined his life in the past. Fender steals her back because he wants the cure for himself, and it’s up to Gibson, along with his newly found tag-along Nady Simmons, to become Earth’s last hope. 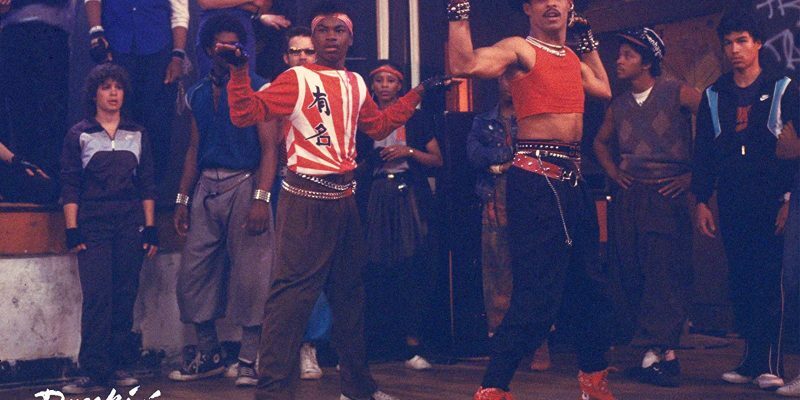 Somewhere underneath the never-ending music and dance numbers is a story about keeping Shabba-Doo’s community center for inner city youth (named “Miracles”) from falling into the hands of a slimy developer who wants to bulldoze it to erect a shopping center in the middle of the community. This would leave the kids nowhere else to go, so obviously they choose to fight the city council’s decision to shut it down, but a window of opportunity exists, which calls for $200,000 in necessary repairs. Former “Solid Gold” dancer Lucinda Dickey stars as Kelly, a waitress by day, aspiring jazz dancer in her spare time. She has the looks and talent to go far, at least according to her dance instructor, but this move seems to come at a price, as he wants a little action on the side to help her career. She makes friends with a couple of local street dancers, aka break-dancers, Ozone and Turbo, and she becomes enamored of the mannerisms and moves of the street dancers. They agree to teach her some steps in order to gain street rep, while she has a crazy idea to make break-dancing more mainstream in the form of a staged musical about it. Alas, the conservative art crowd scoffs at the idea, as do the rival street-dancing crews who want to be prove they are the best of the bunch.